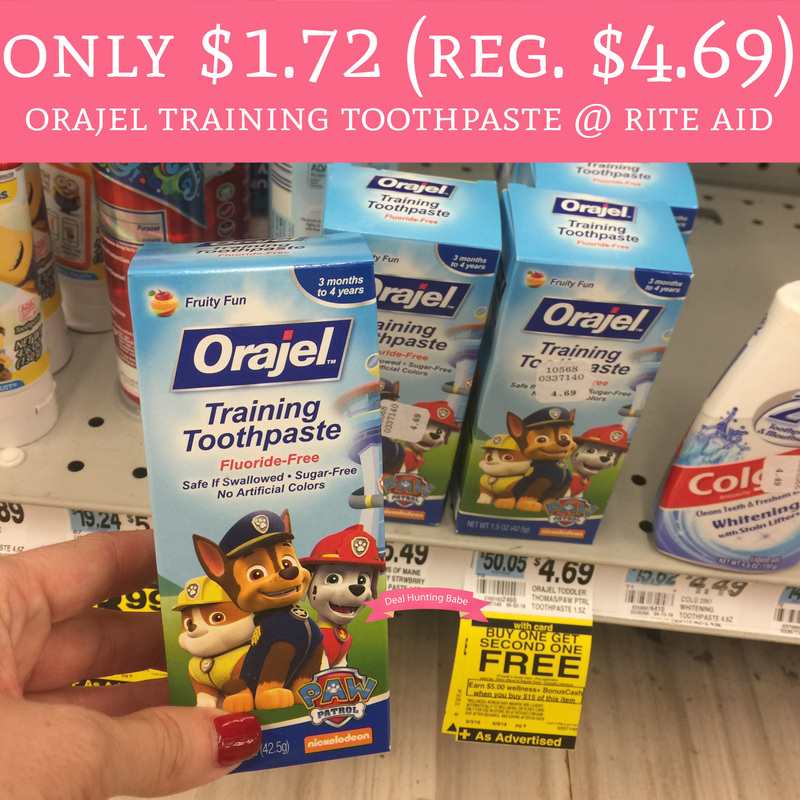 Through 6/9, head to Rite Aid where you can score Orajel Training Toothpaste for just $1.77 each (regular $4.69). They are currently regular price at $4.69 but Buy One Get One FREE and spend $15 get $5 wellness+ BonusCash! That makes each tub just $1.77! Final price $13.76 or $1.72 each! !